Information is exploding at a phenomenal rate. 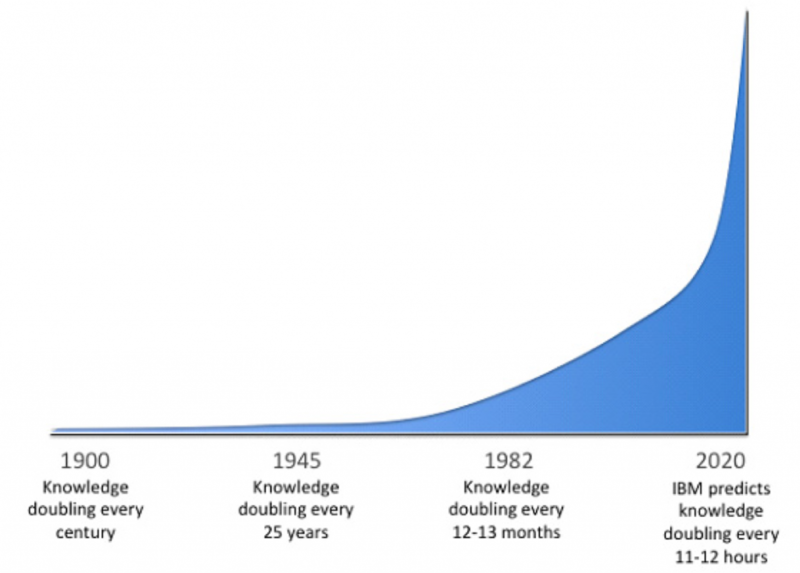 In his 1982 book, Critical Path, futurist and inventor R. Buckminster Fuller estimated that up until 1900 human knowledge doubled approximately every century, but by 1945 it was doubling every 25 years, and by 1982 it was doubling every 12-13 months. IBM now estimates that by 2020 human knowledge will be doubling every 12 hours. 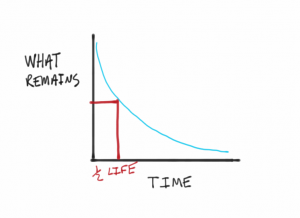 In The coming knowledge tsunami, Marc Rosenberg showed this diagrammatically as below. What does this explosion in information look like in reality? 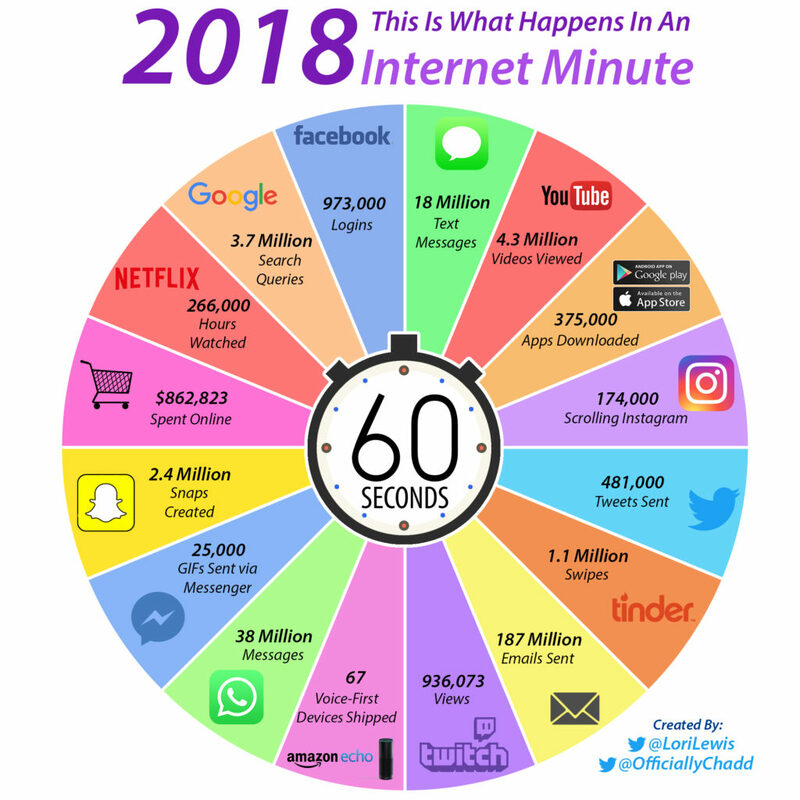 Visual Capitalist shows us what happens in an Internet Minute in 2018. And, in Half Life: The Decay of Knowledge and What to Do About It, Shane Parrish provides a good example. According to some the half-life of skills is also diminishing fast, with some skills having only an 18-month window. Knowledge and skills now have such a short shelf-life that it is frequently said that a college degree will be out of date before the loan is paid off. 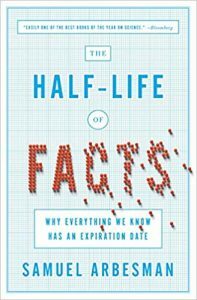 Shane Parrish shows that the decreasing half-life of knowledge means that lifelong learning is imperative by using the example of the decreasing half-life of an engineering degree. Some educational institutions recognise this, as the author of The impact of the half-life of facts on education explains. “Medicine acknowledges the problem of the change of knowledge. Doctors are taught that much of what they learn will be obsolete in a few years of graduation, and they must always devote time to the latest changes in their field. The implications for the world of work are immense: individuals will need to be constantly replacing out-of-date knowledge with new knowledge in a continuous process of unlearning and learning.